The Himalayan nation, Nepal has once again plunged into a political turmoil which culminated into the resignation of Prime Minister K.P. Sharma Oli on Sunday the 24th July 2016. He dramatically announced his decision to quit on the floor of Parliament at the end of his reply to the three -day debate on the No Confidence Motion moved by his ally turned bitter critic Pushpa Kamal Dahal, Prachanda, the Maoist supremo. 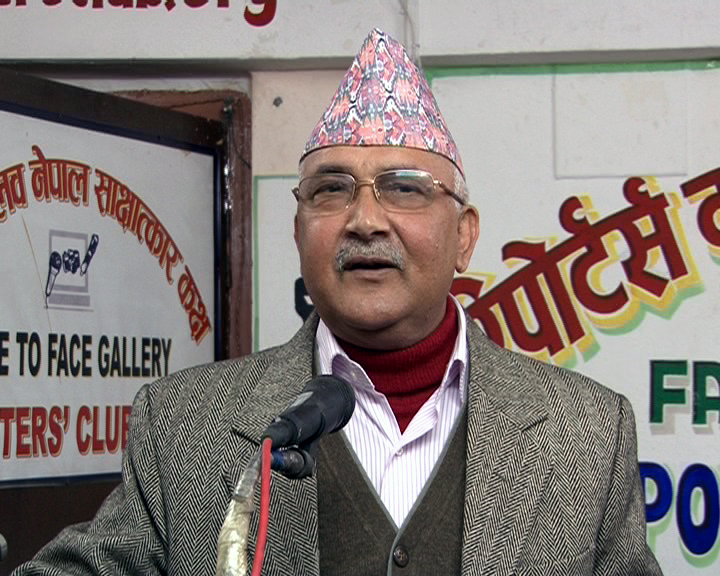 After lashing out at Prachanda, and playing the nationalist card, Oli told the law makers that he had already submitted his resignation to President Vidya Devi Bhandari. Well, he had categorically been ruling out his resignation all along. Perhaps he feared that the numbers were not with him and he was sure to be voted out in the house with effective strength of 596 members. President Bhandari has rolled out the process to elect new Head of Government in accordance with Article 298 of Nepal Constitution. On July 25, she gave one week to the major parties to strive to pick up a consensus candidate. Parliament is scheduled to meet on August 1 to elect the new PM, if no consensus emerges. As things stand now, Maoist Centre Chairman Prachanda is the front runner for the job with the support of opposition Nepali Congress (NC). The events leading to Oli’s resignation prove the adage that there are no permanent friends or foes in politics. Though they are ideologically miles apart, the Nepali Congress and the Communist Party of Nepal Maoist Centre (formerly Unified Communist Party of Nepal -Maoist) joined hands to topple the government led by a Communist. As many as 13 other fringe parties and groups supported their plan. They include Oli’s known allies- Madeshi Janadhikar Forum (Loktantrik) and the Rashtriya Prajatantra Party (RPP). The new alliance in the making appears firm on fully implementing the unfinished task of the peace process and resolving the Madeshi crisis. These are the twin issues that have been deviling the political scene and have contributed to instability in the Himalayan nation for months. The very first point in the 7-Point deal that the NC and Maoists had reportedly reached says the new conglomeration has resolved to amend the Constitution to address issues raised by Madesh based movement and other movements in a way acceptable to all. Prime Minister K.P. Sharma Oli did not favour amending the Constitution to make federalism acceptable to agitating Madeshis, Tharus, Janjaties, minorities and other marginalized sections, who constitute nearly half the country’s population. He was adamant in his stand. Even when a section of his own party took him to task, he did not budge. He did not make any serious effort to buy peace with the Madeshis. While abdicating power, Oli claimed that his government promoted relations with India and China but his tilt towards Beijing is pronounced. His nine and a half month rule was marked by an agreement with China for trading goods with third countries through Chinese ports. He went ahead with the deal despite the awareness that such trading would neither be feasible nor economically competitive. Oli claimed that he had tried to break dependence on a single country, India with which Nepal shares more than 1600 km long border in its Terai region. The reference is to the import of a small consignment of petroleum products from China. Symbolism, not commercial viability marked the import. He also claimed that his rein had begun the process of turning land locked the nation from to a land linked nation but side stepped the reality check that it could be achieved only at a huge cost which a least developed country like Nepal could hardly afford. Be as that may, the fact of the matter is that an onerous task awaits the incoming government. Top of the agenda is of course, implementation of the Constitution, A helping hand to the people affected by earthquake last year, solution to the Madeshi imbroglio, and elections to local bodies and provincial legislatures also figure high on the ‘to do’ list, which is Oli legacy, though not necessarily in that order. The term of present Parliament ends in January 2018. That means, the new government will have to put its act together quickly. And deliver on its promises. In 18 months flat! This entry was posted in News and tagged 7-point accord, Madeshi issue, Nepal, Nepali Congress, Oli resigns, Prachanda. Bookmark the permalink.